This track was used as the theme song for the Japanese TV show Change in the spring of 2008. It was released as the third and final single on November 24, 2008 in the UK and December 15 in the US. Remixes of the song were created by Thin White Duke, Morgan Page, Johnny Vicious, Demacio "Demo" Castellon, and Aaron LaCrate & Debonair Samir. 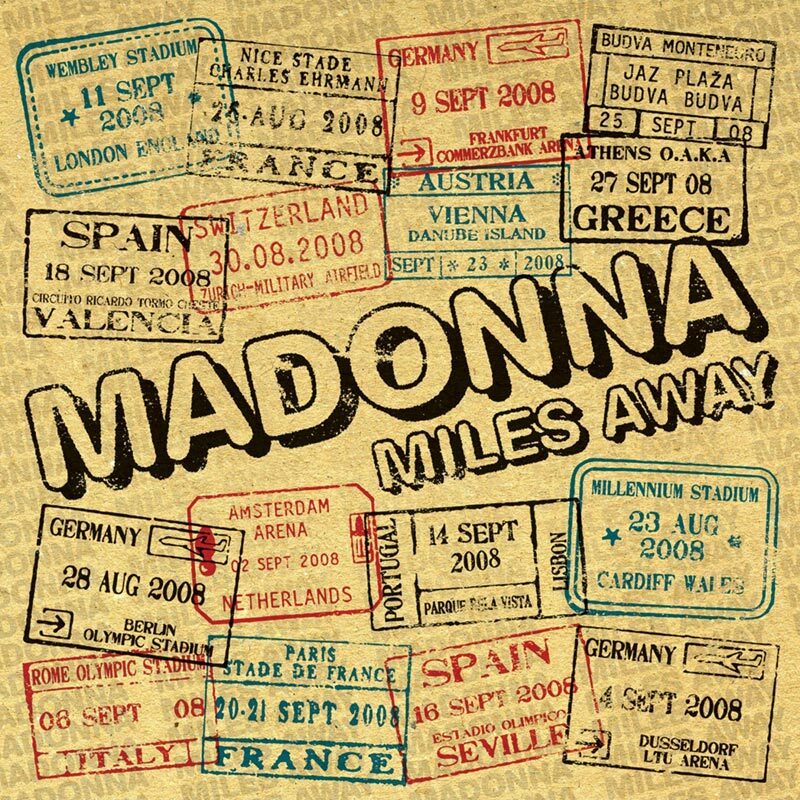 Because of the drastic change of UK chart climate, Miles Away unfortunately became Madonna's first ever single to miss the Top 20 when it peaked at #39, ending her string of 66 UK Top 20 hits, which will most likely remain unmatched. The song was not sent to US radio stations so it did not enter the Billboard Hot 100. In Japan, Miles Away became a huge hit with selling more than 800,000 digital downloads and earning 3 Japan Gold Disc Awards. For a long time, it wasn't clear whether Miles Away would get an official video. In the end, the video leaked online mid-2009 and was later commercially released on the Celebration Video Collection. 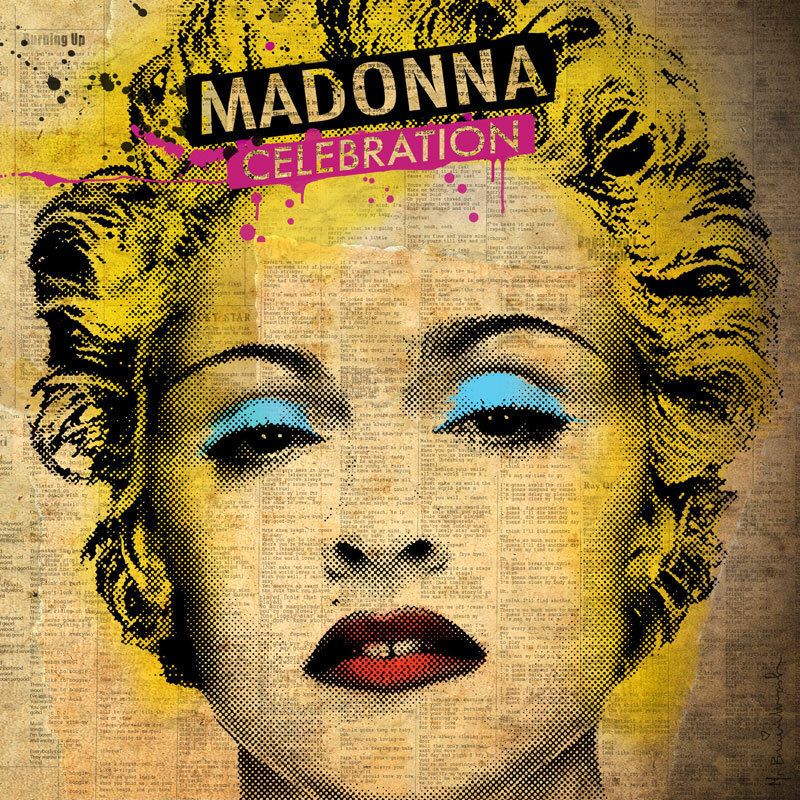 It features footage of her Sticky & Sweet performance in Buenos Aires, with a lot of focus on the fans in the crowd, intertwined with imagery of tour travels, syncing with the theme of the song. "This is for all who know the struggle of long distance relationships. I know you're out there." This introduction of Miles Away during her Sticky & Sweet show in London describes this song best. 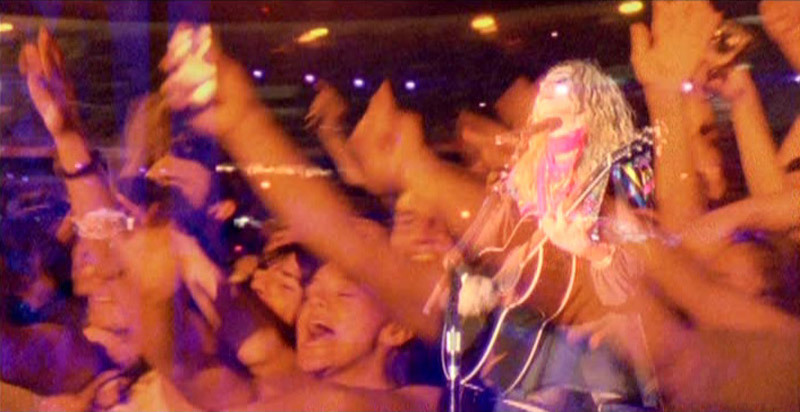 While her dancers gather and sit down in a circle around her, Madonna plays the acoustic guitar and encourages the crowd to clap and sing along. The screens give another message to the song, showing a stream of world maps and passport stamps and the journey of gypsies travelling around the world, conveniently adding to the atmosphere of the Gypsy section of the show.